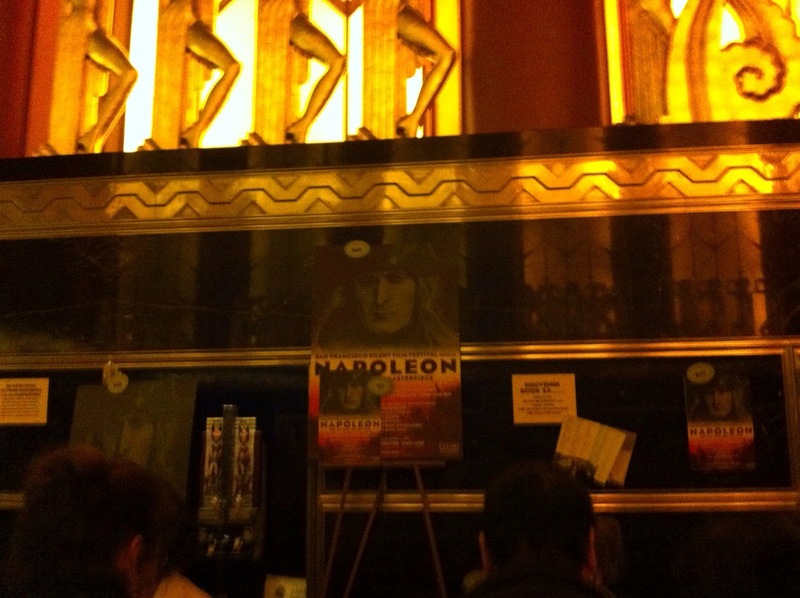 A couple of weeks ago, I had the rare opportunity to attend a premiere showing of the 1927 black and white silent film Napoleon at the Paramount Theater of the Arts in Oakland, CA, sponsored by the San Francisco Silent Film Festival. This was the first time that the six hour silent film had been shown in its entirety in the United States since the ’20’s. When Hollywood received the original print, it was edited down to a fraction of its original length and screened to unflattering reviews. Now, for the first time in ages, it can truly be appreciated for the cinematic masterpiece that it is. 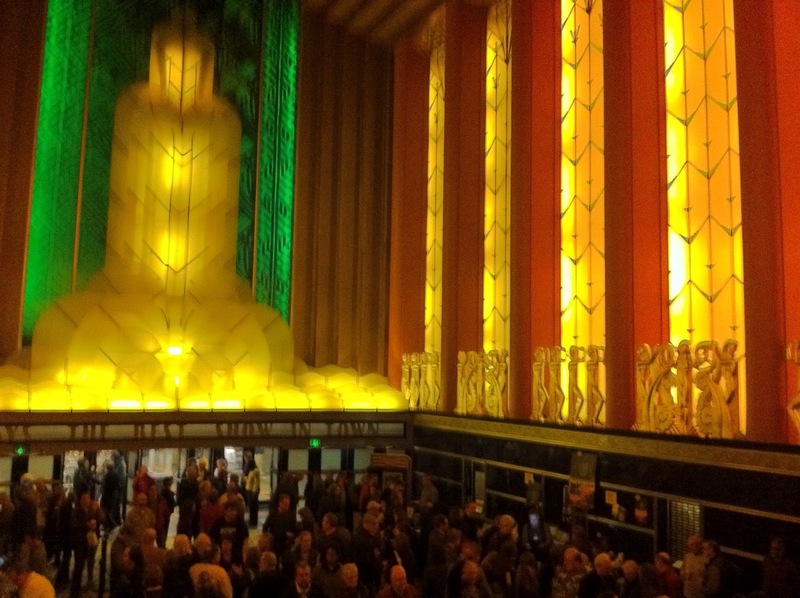 The screening was accompanied by an original soundtrack composed and conducted by Carl Davis and performed by the Oakland East Bay Symphony. The rousing, breathtaking score was inspired by the music of Beethoven and Mozart, and created a remarkable atmosphere around the entire show. In essence, this was five and-a-half hours of live orchestral music while Academy Award winning film-maker Kevin Brownlow’s restoration of the film played onscreen. It was a unique experience, celebrating a unique film. It played to packed houses for four matinée showings over two weekends — it was a minor feat of athletic endurance to sit through the entire performance, but coming out of it, you really felt as if you had actually been there — actually been through the French Revolution and witnessed, first-hand, the rise of Napoleon Bonaparte from obscurity in the French Revolutionary army to the heights of glory as the emperor of France. The film is probably most striking in its vivid depiction of the French Revolution. It presents, in bone-crunching detail, the horrors of the Reign of Terror and the atrocities committed by the likes of historical figures such as Danton, Robespierre, Marat and Saint-Juste, the last having been played by the director himself. It depicts, in brutal immediacy, the horrors of war, in its representation of the Siege of Toulon and of Napoleon’s unlikely victory over invading forces. Finally, it presents a breathtaking hour-long climax using an experimental cinematic technique with three screens and projectors giving the audience an immersive experience of Napoleon’s Italian campaign. Probably the most fascinating aspect of this unique event is the story of how film-maker Kevin Brownlow accomplished this remarkable achievement in film restoration. The film was literally pieced together from remnants in various archival collections, having never been recognized before for its true artistic merit. It makes you wonder how many other unrecognized cinematic masterpieces have been condemned to obscurity, waiting for someone to restore them to their original glory. 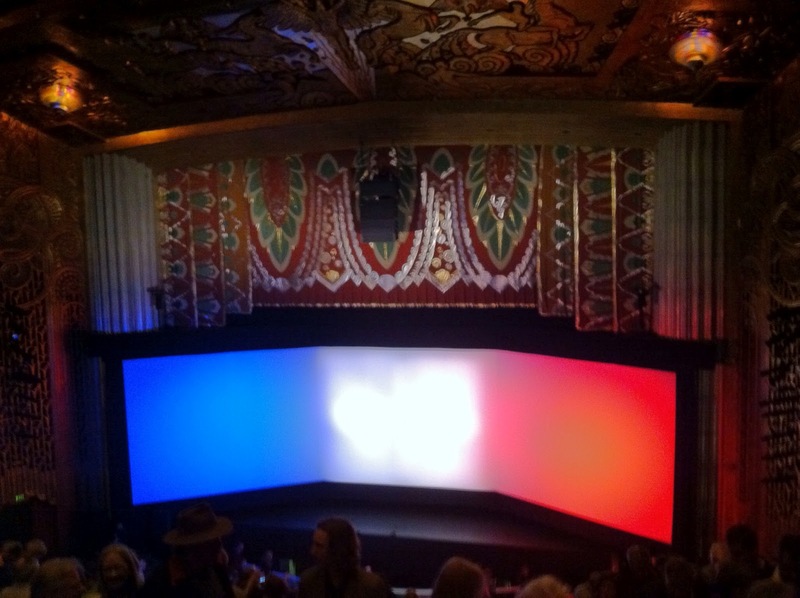 The screening was, in and of itself, a unique experience. 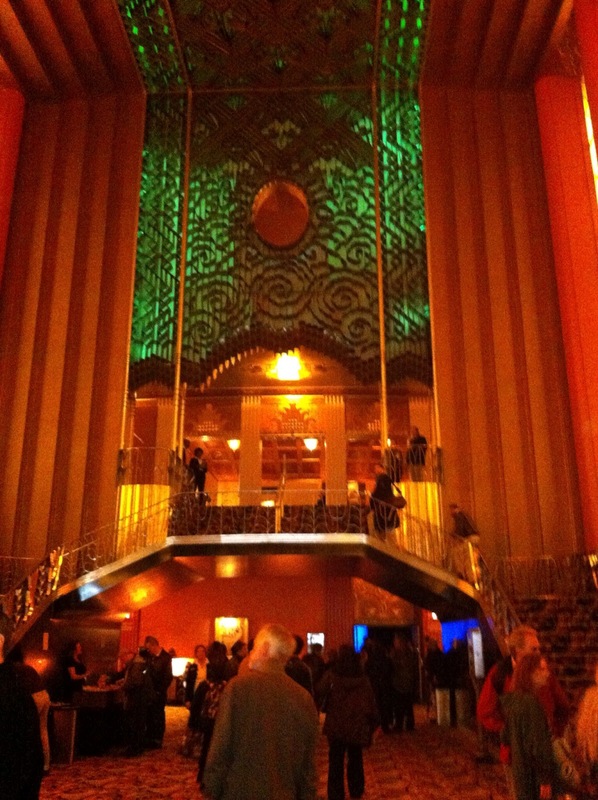 It was a festive atmosphere at the remarkable Paramount Theater of the Arts in downtown Oakland, CA. 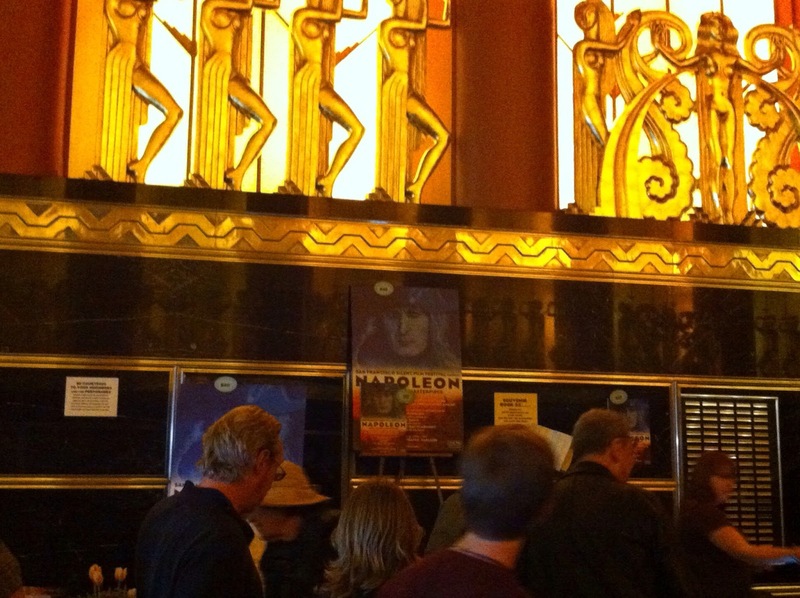 There were three intermissions, including a two hour dinner break, during which one could appreciate the decor, purchase memorabilia from the souvenir shop or head to the bar for a Napoleon cocktail. After this remarkable experience, one has to wonder if we have lost something of the grandeur of the past in our fast-paced modern society, in the rush to get ahead in our lives and to claw our way to the top of the heap. Experiencing a record of history in this unique format — getting a historical perspective on human concerns from the past — makes you reflect on the human condition in the present day and wonder what we have lost over time. In a sense, this entire festival was a celebration of the recovery of a lost heritage, a lost past — the film at the center of the event being, itself, a restoration of a work from the dustheap of history to the status of a recognized cinematic masterpiece. As such, it is emblematic of our need to reconnect with a forgotten past and restore it to its forgotten glory. Hopefully, this Renaissance spirit will continue and the San Francisco Silent Film Festival will host many more such spectacular events in the future! Meanwhile, do check out Horizon Cybermedia‘s ongoing series of web videos, Exploration with Uday Gunjikar. 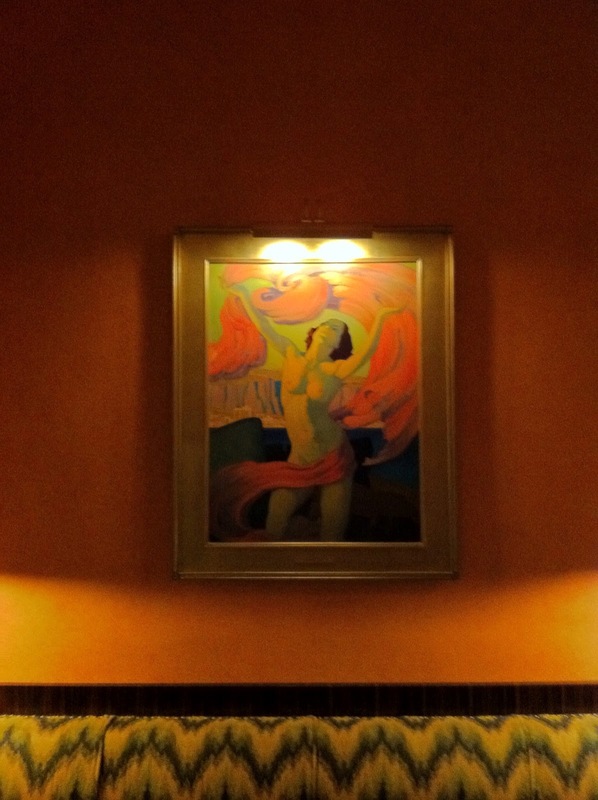 This entry was posted in Culture, Film, History, Media, travel and tagged cinema, culture, film, history, hollywood, media, review, society, technology. Bookmark the permalink.